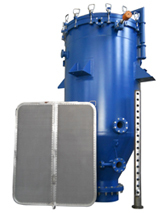 SAP Filter is now renowned name in FILTRATION AND SEPARATION in India and Abroad. Our products are well accepted by the industrial units for various applications in Pharma, API, Chemicals, Resins, Varnishes, Edible oil & Molten Sulphur. Our installation are more than 3000 nos worldwide. We are dealing with varied applications with clear basic concept and knowledge with support of ‘CAD DESIGN’ center and state of the art manufacturing facilities generated for last 23 years. We produce quality filters with timely deliveries. We are the first to export Horizontal Leaf Filter with ‘U’ stamp to CANADA. Share your challenges of filtration & separation and we provide you an appropriate solution.